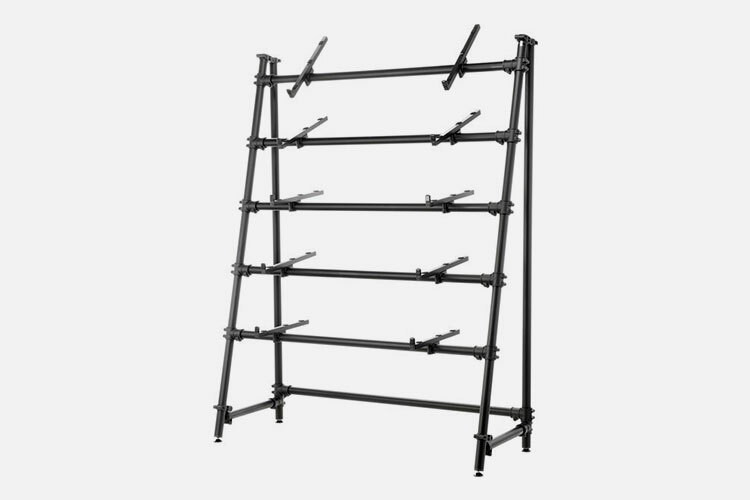 Jaspers 5D-120B Keyboard Stand from black anodized aluminium with 5 tiers, made in Germany, height 170 cm, width 130 cm, inner width 120 cm, depth 52 cm. All tiers are height adjustable and inclinable. Holders 40 cm. Weight capacity: up to 15 kgs per tier or more with strengthening set.